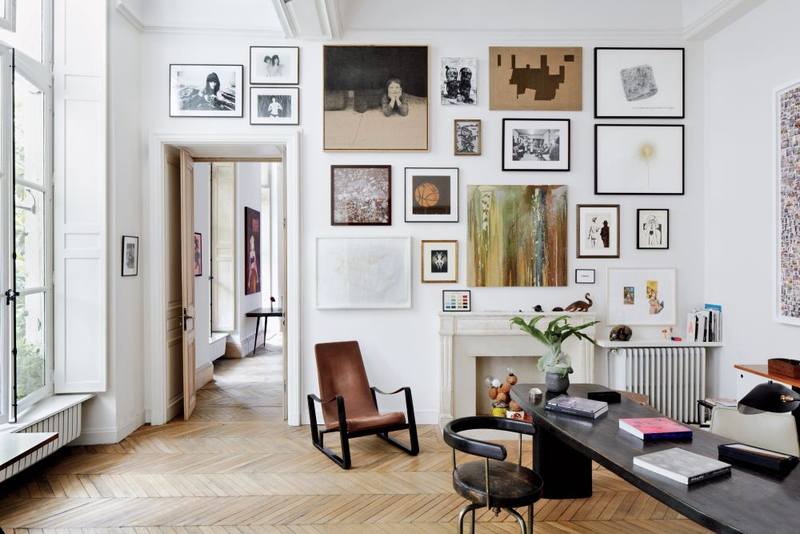 Most people have the tendency to hang artwork too high. If you take one piece of information from this article, let it be this: 57″ on center. This means that the center of your art piece (not the hook) should be 57″ from the floor. This 57″ standard represents the average human eye-height and is regularly used as a standard in many galleries and museums. It also creates balance in the home because all of your art will share a visual midline. There are a few exceptions to this rule: If you have really low ceilings (less than 8-9′), divide the vertical length of your wall into quarters and hang your art in the third quadrant up from the floor. And if you’re hanging art above a sofa, allow for 8-10 inches above the sofa back, even if this breaks the 57″ rule. If you’re working with a collection of art, it’s important to treat that collection or gallery as one piece to achieve a balanced look. First, make sure your collection is neither too large nor too small in relation to your sofa or sideboard. We want the just right, Goldilocks effect here: The artwork should be two-thirds the size of the sofa or sideboard. If you are hanging multiple pieces in a group, make sure the heavier pieces are at the bottom left and the lighter pieces are at the upper right with mid-sized pieces placed in between (see the photo above). Or, if you have one large piece and a few smaller pieces, hang the large piece toward the middle as a focal point and go from there. Leave 2-5 inches between each frame for proper spacing. Insider tip: Use low adhesive tape to keep spacing consistent between frames. And if all of this seems overwhelming, don’t fret! 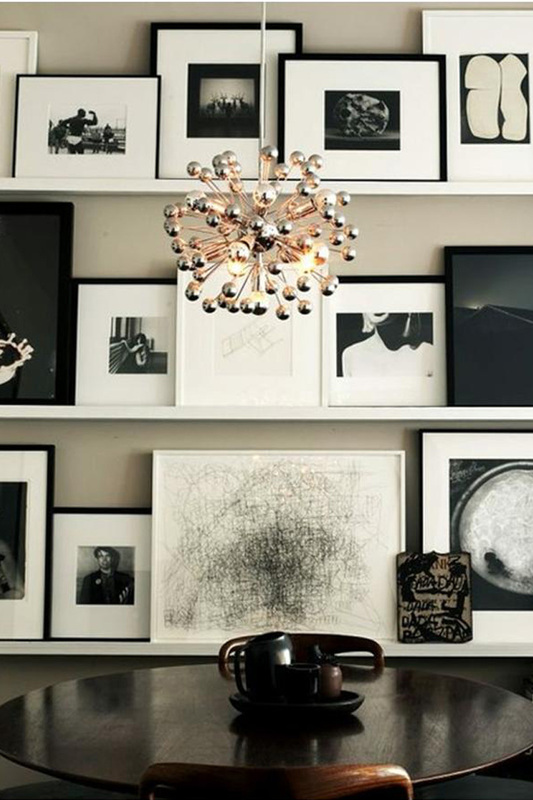 We can help you create your perfect gallery wall when you sign up for our KKH design services. The salon-style look for wall art could be one of the most adored and admired features of a space… if it weren’t so intimidating! 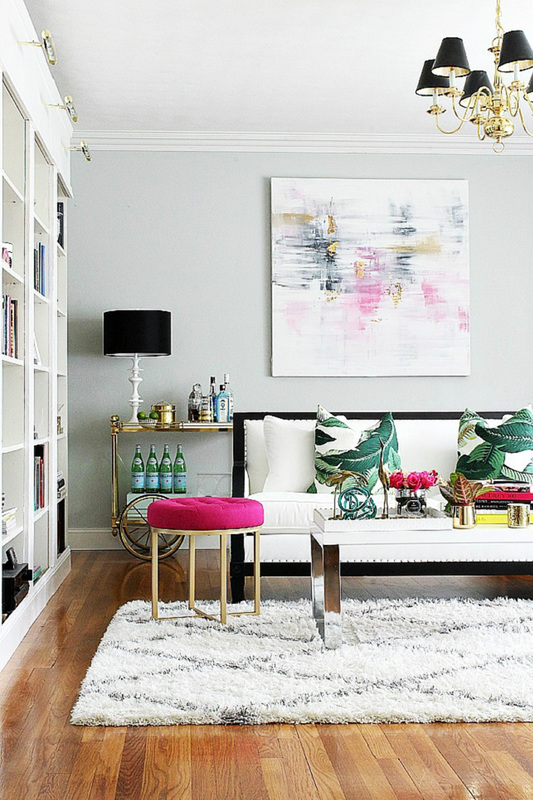 How do you create a look you like without putting a ton of extra holes in your wall? The arrangement should really be to your (or your client’s) personal liking, but remember to follow the general guidelines outlined in Tip #2 above for multiple pieces. Salon-style also works best when you mix and match multiple types of wall hangings, from paintings to prints to photos to text pieces to wall sculptures! Our last piece of salon-style advice: use craft paper and low adhesive tape to plan out the arrangement on the wall and for determining nail placement. And are you OBSESSED with the rug featured above? Well good, because you can buy it here. 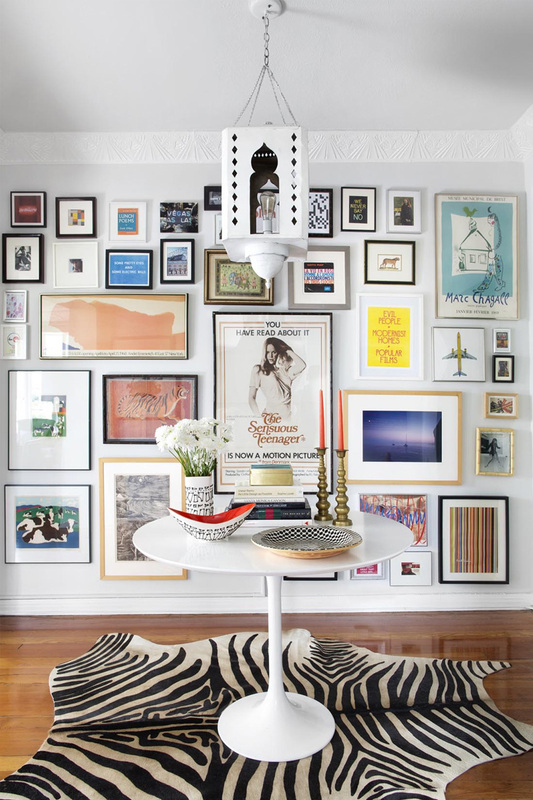 Don’t have the time or patience for a salon-style gallery wall? Design differently and place wall art in unexpected places. Don’t limit yourself to walls! 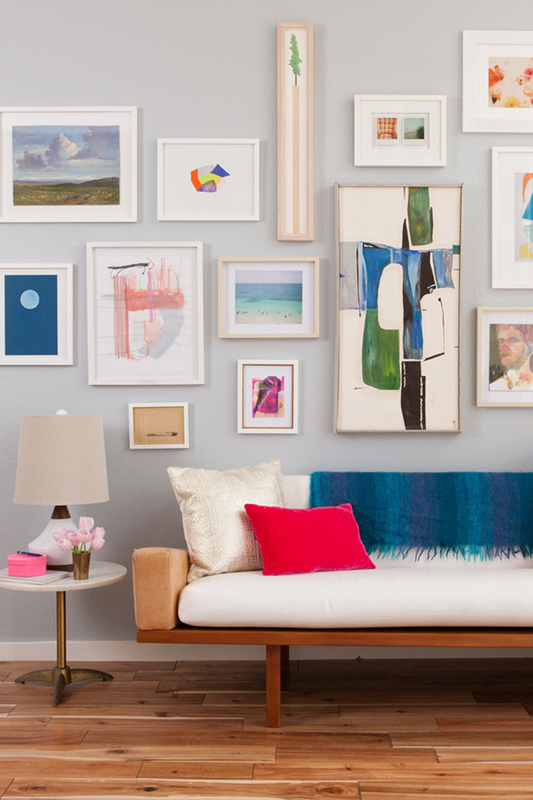 Floating wall shelves are the new gallery wall! Try layering multiple pieces for an interesting and multidimensional approach. And if you have a very large art piece, consider propping it against the wall instead of hanging it for a more relaxed and contemporary look. Another common mistake we see is when art is just way too small for space. 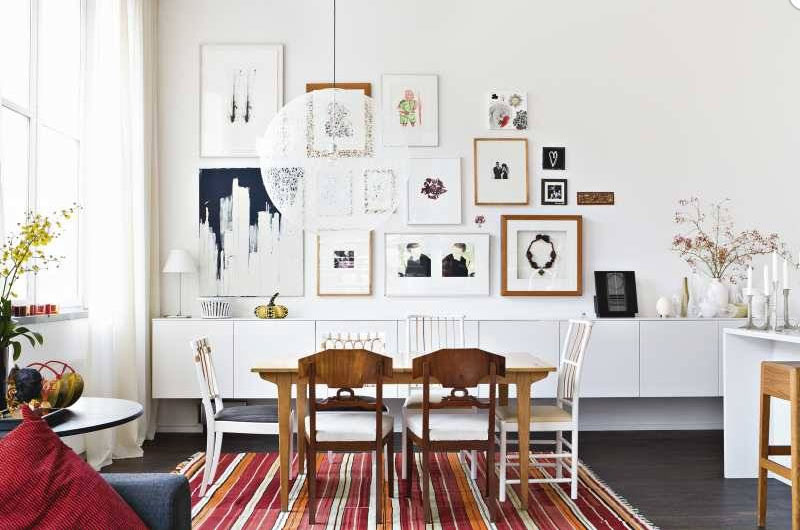 Big art can be an intimidating buy (and an investment), but generally, the art you hang should be in the same shape and orientation as the wall it’s trying to fill (like in the photo above). We don’t know about you, but when we’re cooking in the kitchen, the last thing we want to see up on our wall is an artsy rendition of fresh, dewy asparagus sprinkled with parmesan. It’s a bit much, and let’s face it, the artwork will probably look better than our home cooking (fun fact: fruits and veggies shot for food photography are usually coated in hairspray to give some extra shine). So what kind of art deserves a place in the kitchen? 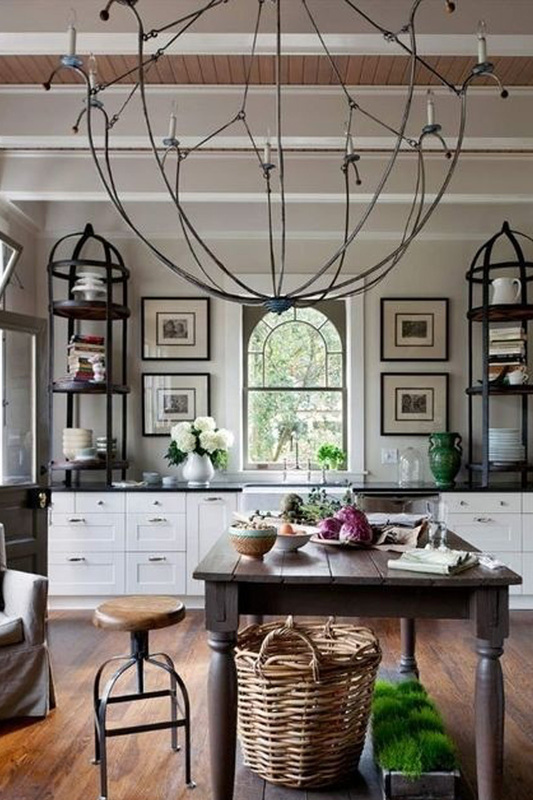 We love vintage or modern pieces, depending on the kitchen design. An additional tip: If you want artwork in the kitchen, be careful not to hang it anywhere it can become damaged by water or heat. 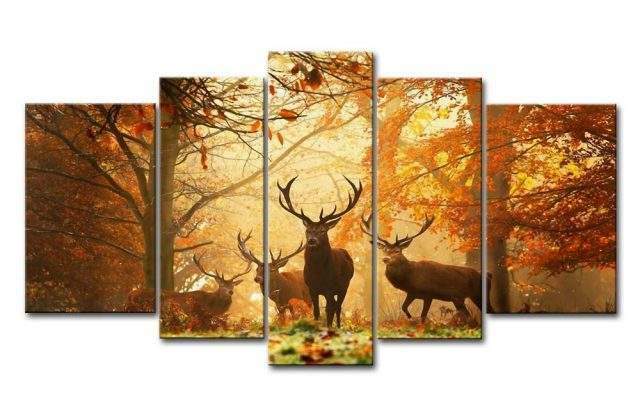 Don’t neglect the frame when thinking about your wall art. Whether you go modern with monochromatic frames or you mix and match different vintage-style frames, your framing can bring just as much style and personality to space as the artwork itself. Don’t be afraid to have fun: just look at the whimsical yet stunning example above as proof!